Singapore is such a small country that you can go around it in just a whole day. Because of this, people have told me that there isn't much to see and do here. After being here twice, I can certainly say that I strongly disagree with them. In spite of being small, Singapore has everything for everybody. On our first night, we headed to Clarke Quay. This place has lots of bars, clubs and restos, this is where you usually can find the clubbers, the bar drinkers, the hip crowd and the chill crowd. It is also home for the famous G-Max and the GX-5 Pendelum Ride. For adrenalin junkies, both rides should satisfy their thirst for adventure. 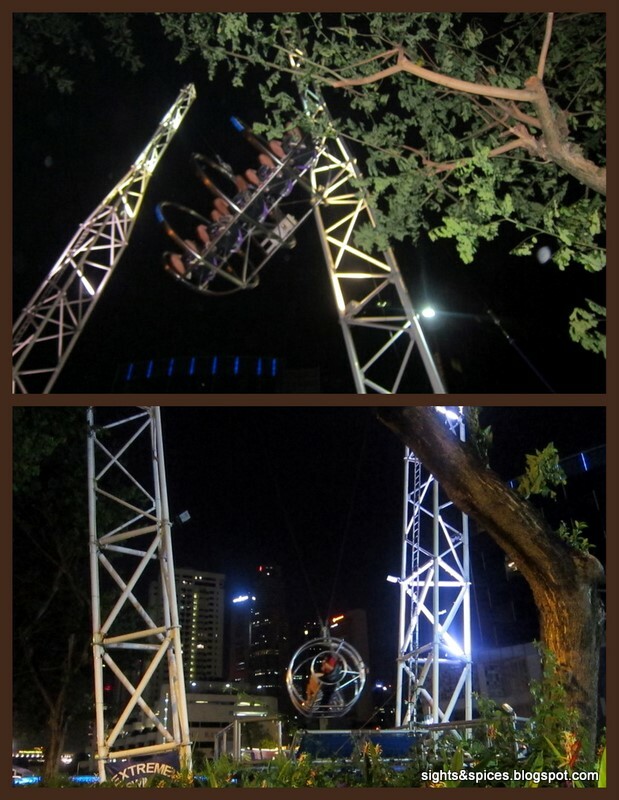 Get strapped on and get ready to be slingshot 60 meters or fall and swing from 50 meters up in the air. 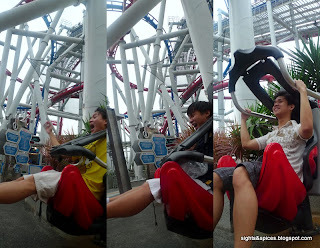 Both rides costs SG$49 (around Php1,670) per person. The Clarke Quay bridge is an area where drinking alcoholic beverages in public is allowed. You can see a lot of locals and tourists hanging out, chatting and drinking. Around the bars area, there was a cool light and floor fountain. For animal lovers, I would suggest people to go to three amazing places that houses different animals from all over the world. The Singapore Zoo, The Night Safari and Jurong Bird Park. Travel Tip: You'll be able to save a lot if you get the three in one ticket for the entrance for all the three parks. The ticket costs SG$58 (aroundPhp1,980). 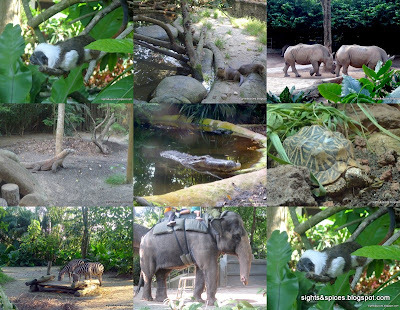 "We're off to see our real animal friends.."
The Singapore Zoo is considered to be one of the best zoos in the world. The animals here are not caged in metal enclosures, the zoo tries to provide them with the most natural enclosures as possible. 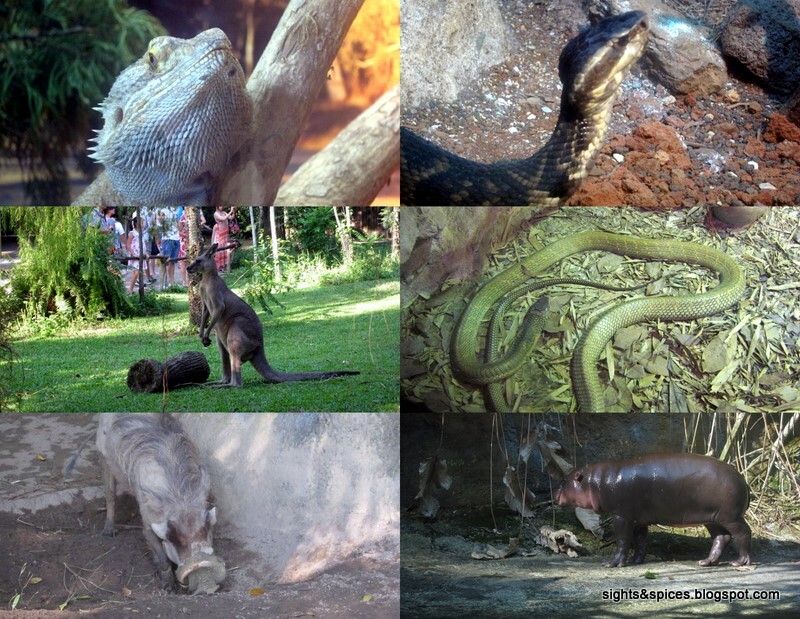 From mammals to reptiles, the zoo has it all. Beside the Singapore Zoo is the first nocturnal zoo in the world, The Night Safari. See and experience how animals live during the night. Ride the 40 minute guided tram ride around the whole zoo. After of which, you can also trek around to get a closer look at the animals. There were mist making machines and speakers sounding off crickets chirping and jungle sounds that made you feel you were really inside a rainforest. I'll never forget the Bat Enclosure where I had to literally stoop down to avoid the flying bats above me and luckily I wasn't doused with bat drippings like some guests were. 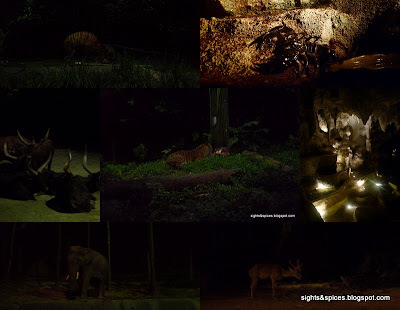 Some of the things you'll see at the Night Safari. The Jurong Bird Park houses more than 380 species of birds making it the largest bird park in the world. In here, you can get up close and personal with birds. You can even feed them, how cool is that! 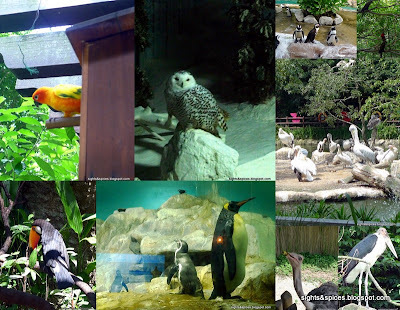 There are different areas at the Bird Park. Some of the beautiful and colorful birds that can be found in the park. 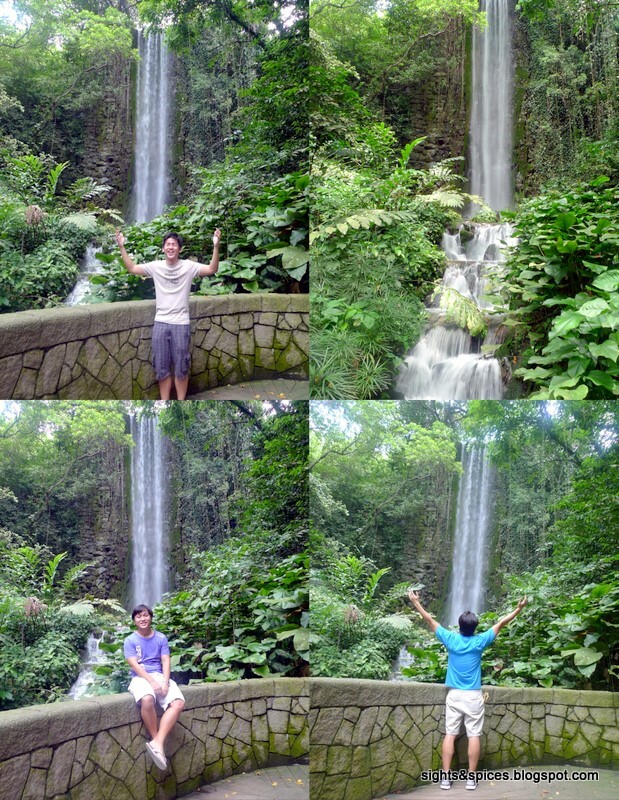 You can also find the highest man-made waterfall in the world at Jurong Bird Park. 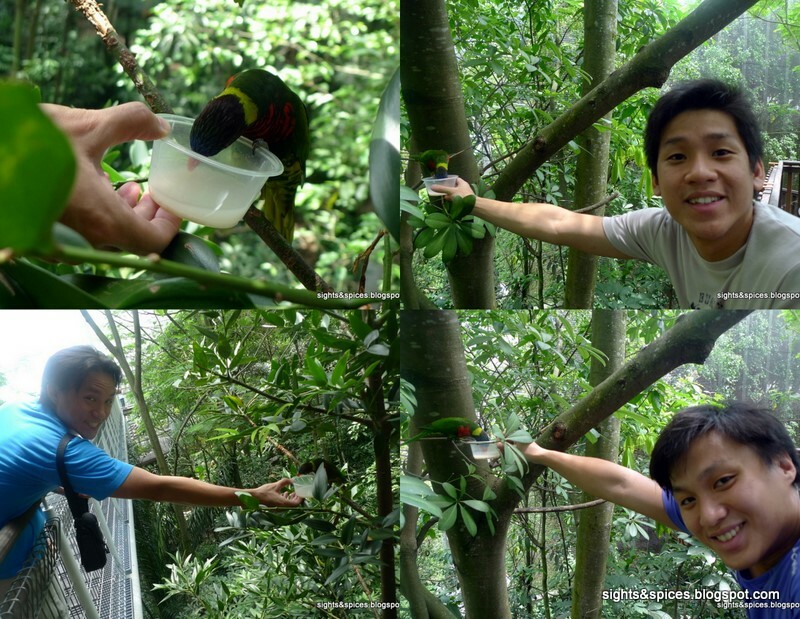 All the parks has exciting animal shows to catch, one of our favorites was the Birds and Buddies show at the Pools Amphitheater in Jurong Bird Park. 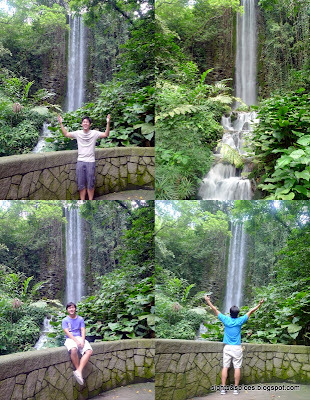 See and feel the birds swooping over of your heads. What's really nice about the parks is they educate and create an awareness to it guests on how we can preserve our animal friends. For me, this is the most important thing that a zoo or a park must incorporate. Though Singapore is filled with skyscrapers and bulidings, there is a whole area for its flora and fauna. 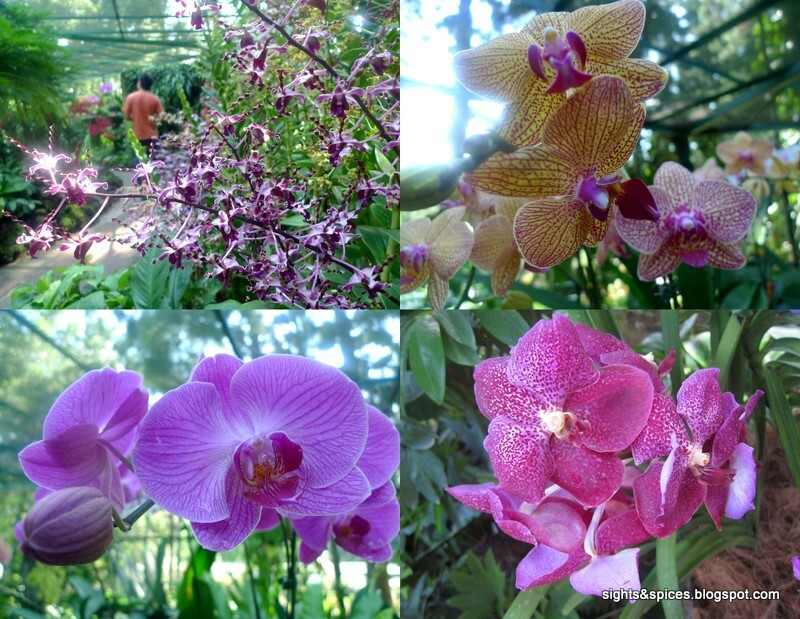 The Singapore Botanic Gardens is filled with different plants and trees. Birds fly all over and if you're lucky you can even catch live squirrels running around. 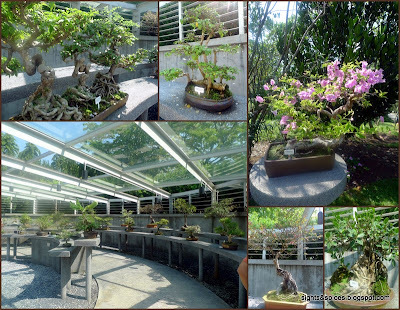 A great place to getaway from the city to relax and enjoy nature. Spending the whole day here wouldn't even cost a cent. Just look how calm and beautiful the whole area is. There is also a Bonsai area..
Visit The National Orchid Garden, for a minimal fee of SG$5 (around Php170) you can look and adore the beautiful orchids and flowers found inside. 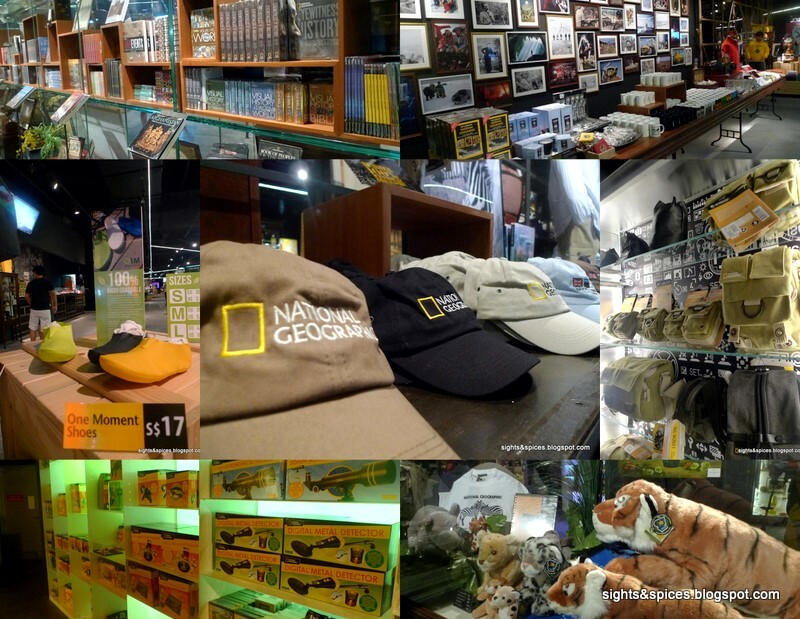 I'm a big fan of the National Geographic Channel so when I found out that they opened a store in Singapore, we just had to visit and check it out. There were a lot of merchandise to look at, books, clothes, toys, they got it all. 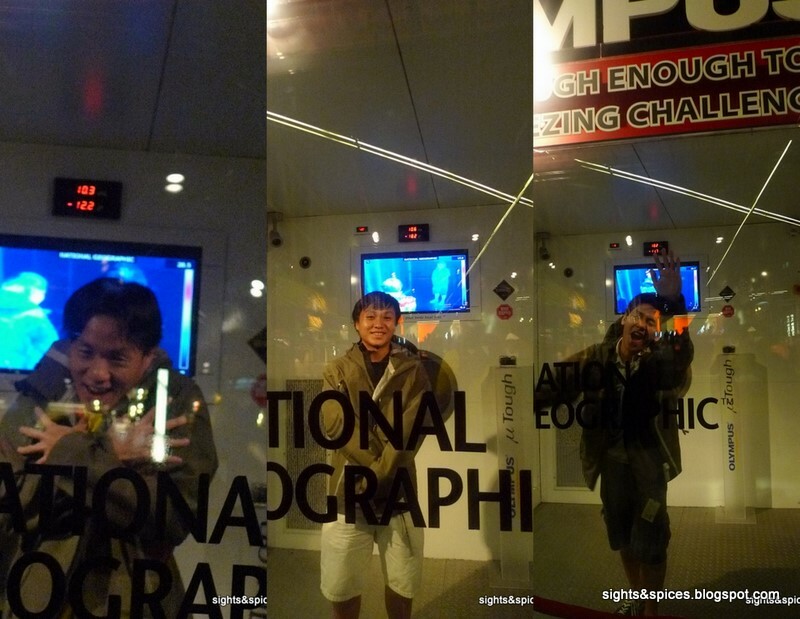 A must try inside the store is the Are you Though Enough Freezing Challenge. Experience how below zero temperature feels like. 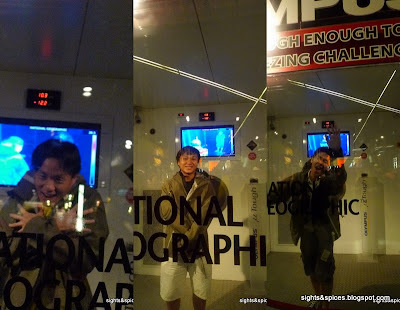 No need to worry, the special Nat Geo jacket is provided to keep you warm. In Singapore, there is a whole island that is dedicated for one thing alone, Fun and Leisure. 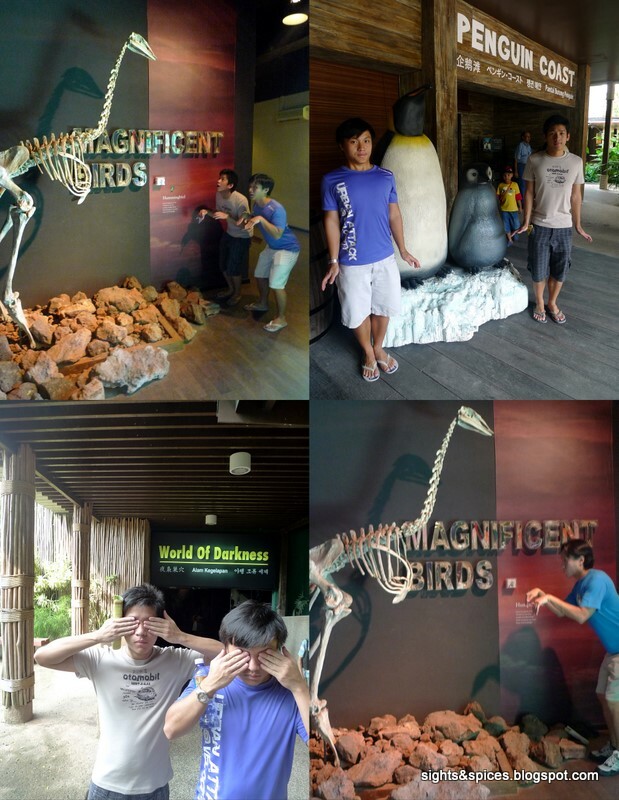 Also known as Asia's favorite playground, Sentosa is home for a lot of different attractions. 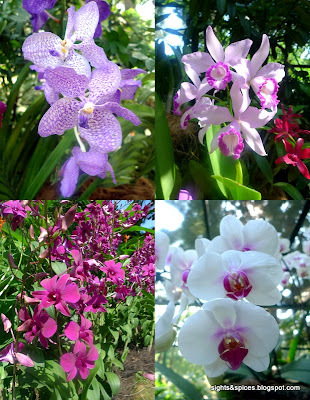 There are numerous things to do in the Island. Lounge around, play beach volleyball or take a dip at the man-made beach, Siloso Beach. Don't expect much of it, still nothing beats the real thing. 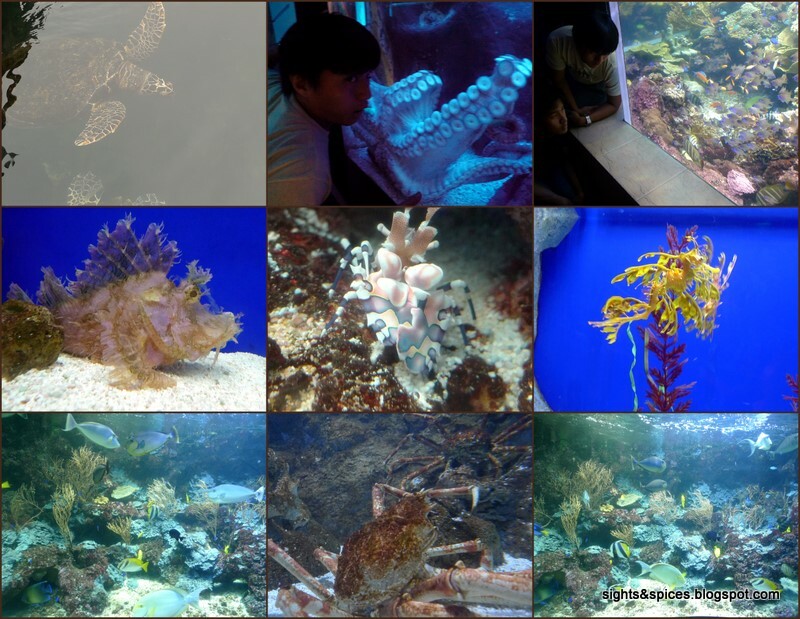 There is an open area where you can actually touch and pet different marine species. Go through the tunnel and feel like your walking at the bottom of the ocean. Enjoy looking at the astonishing sea creatures. Ever wondered how it feels to sky dive? Check out Sentosa's Ifly. Though we didn't get to try it out, we had fun watching the pros do an exhibition. The show is divided into different sections, it started with an explosive fire show. Meet the main mascot of the show being projected on a wall of water, Oscar the Fish. The show ended with a short yet spectacular fireworks display. 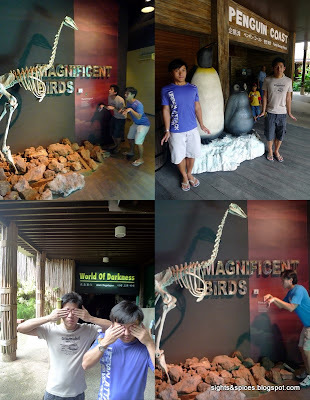 I've save the best for last, the biggest attraction that can be found in Sentosa is of course, Universal Studios. Travel Tip: Purchase your tickets on line to avoid the long queue at the entrance. Tickets get Sold out! 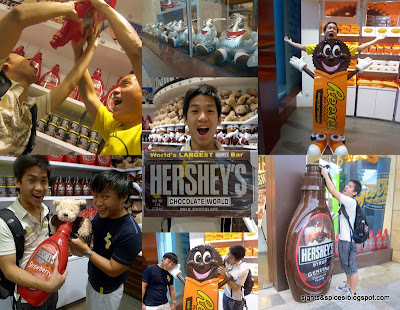 At the entrance, be sure to visit Hershey's Chocolate World. This place would be the dream land for chocoholics. 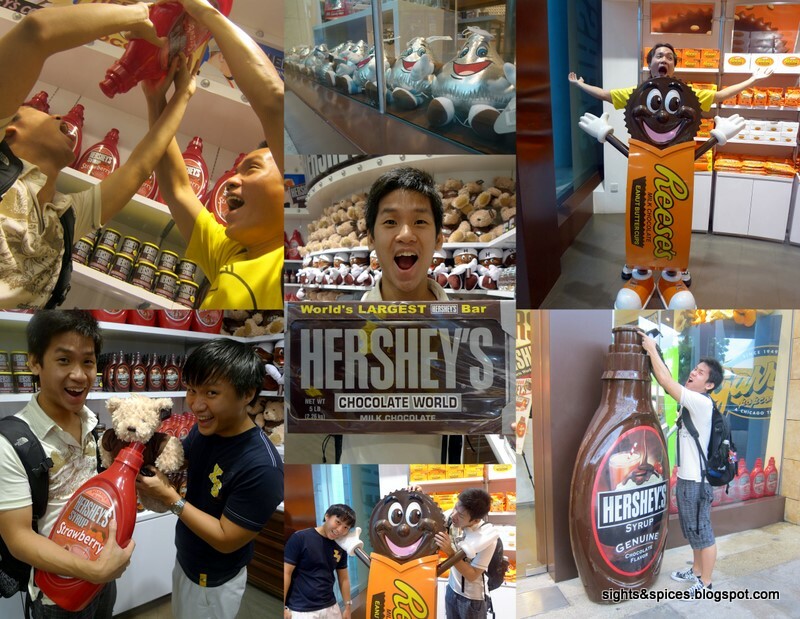 As for non-chocolate lovers like us, we just had fun goofing around. 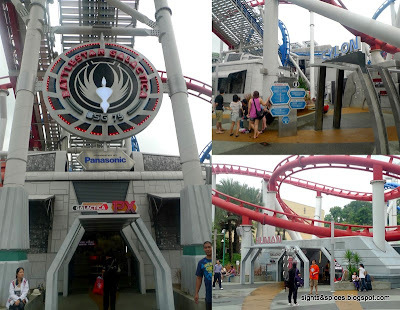 Universal Studios is divided into different zones where there are rides and shows to catch. 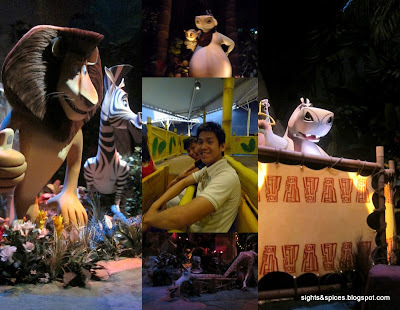 At the Madagascar zone, we rode the kiddie ride that was called A Crate Adventure. At Shrek's Far Far Away zone, we catch two shows. Shrek's 4D Adventure and Donkey Live. Put on your 3D glasses and get ready for surprises as you watch Shrek's 4D Adventure. At Hollywood Boulevard, we saw a musical play that featured a 'monster musical' called Monster Rock Live. We were also able to catch the singing waitresses at Mel's Diner. Well known 'mosters' such as Count Dracula, Werewolf, Frankenstein and more sings and dances to your favorite pop music. The beautiful and graceful Mel's Diner waitresses. At the New York zone, be sure the catch the Lights. Camera.Action show that is hosted by Steven Spielberg. Experience how it feels like to be in a set of a hollywood film. Amazing effects! Want to know what it feels like if a big hurricane is coming? Check out the Lights. Camera. Action show. For the thrill seekers, head over to the Sci-Fi zone and ride the huge dual rollercoaster. Too bad for us, the Transformer ride was still being made during this time. The dual roller coaster ride, Battlestar Galactica. The Battlestar Galactica has two choices: the Human side where you are stepping on something or the Cylon side where your feet is dangling in the air. As for us, this is all the courage we could muster. Our favorite ride can be find in the Ancient Egypt zone, The Revenge of the Mummy indoor rollercoaster ride. This ride was so cool! Get ready for big surprises as you move forward, backward and sideways in a pitch black environment. 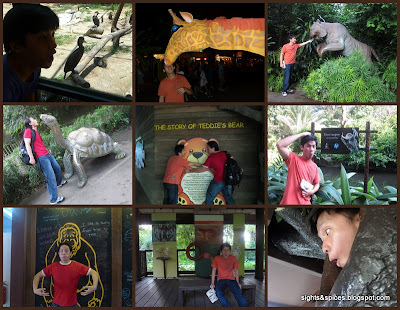 The last zone that we went to was Jurrasic Park's Lost World. Here we rode the Rapids Adventure and the Canopy Flyer. "Whoaaaa....A Dinosaur is on the loose!!!" A simple and short adrenaline rush ride. Get ready to get wet as the raft floats around and makes it way through a dinosaur infested river cruise. Among all the shows in Universal, watching Water World is a must. Prepare to laugh out loud at the start of the show as some of the actors goes around to literally wet the audience. 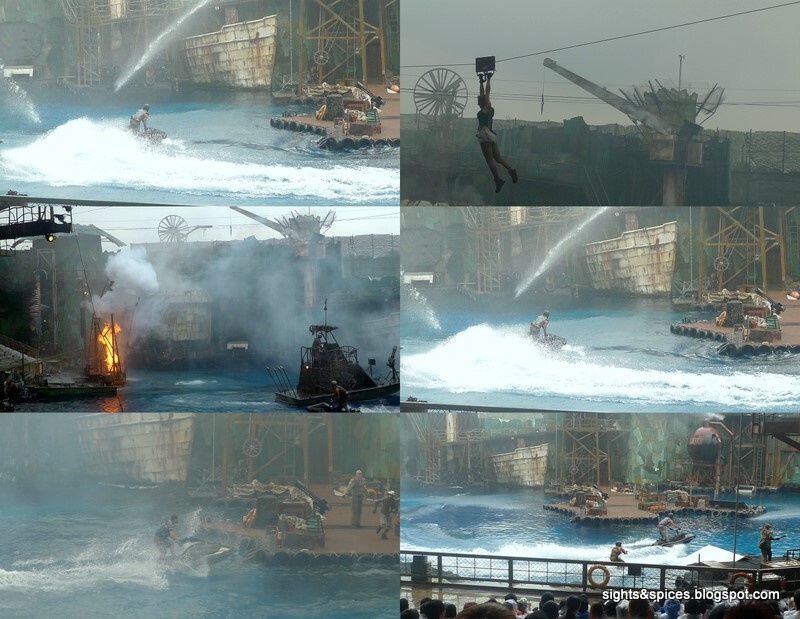 After of which, get ready for some jaw-dropping action sequences that includes explosions and death defying stunts. As we were about to hit the exit, we saw Woody Woodpecker and his girlfriend Winnie Woodpecker. Good thing Woody didn't see me kissing Winnie. I definitely agree with you, everything is so easy and accessible to go to!! !